Bonjour Scrap ! 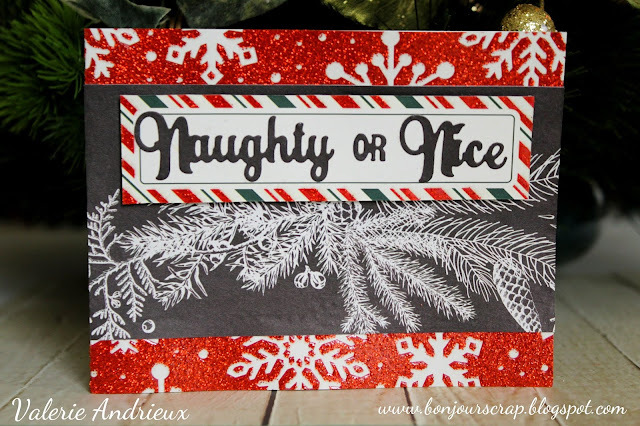 : Naughty or Nice ? 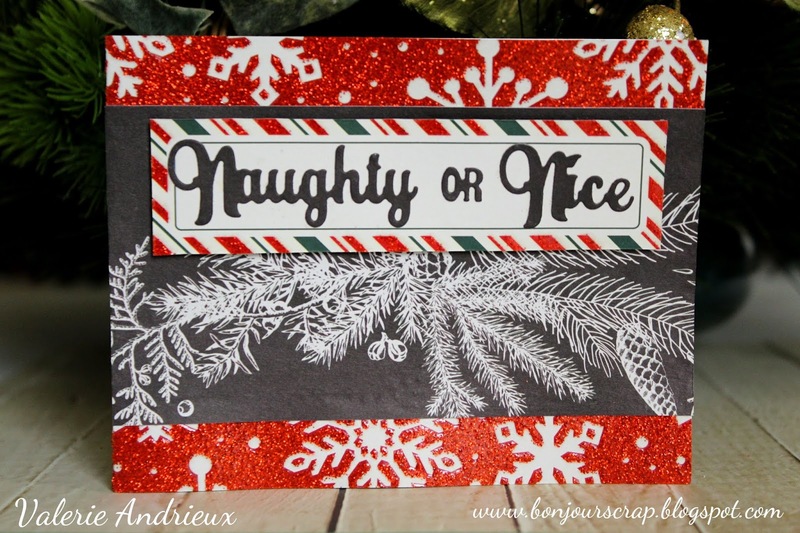 Love that red glitter paper!! Nice black pine paper for the backdrop.